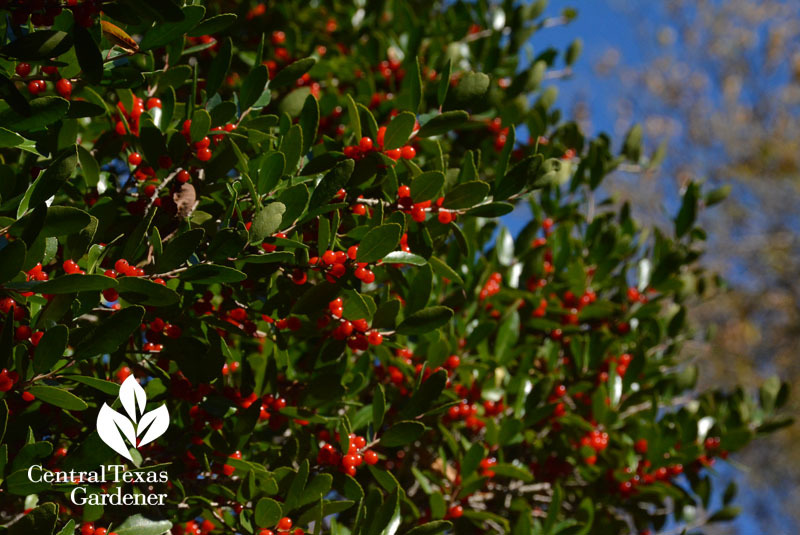 I don’t have English ivy, but I do have native Yaupon holly, which birds crown all winter in a feeding frenzy. To celebrate PBS/ KLRU’s premiere of Downton Abbey’s fourth season, CTG looks at how England influenced our garden melting pot. Let’s start with Texas A&M Extension Landscape Horticulturist Dr. William C. Welch, one of my dear mentors. 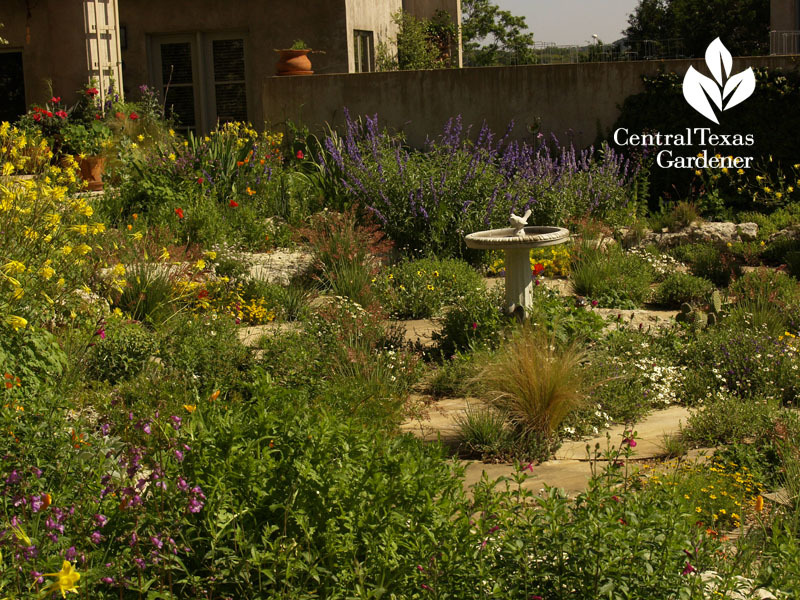 He joins Tom to reveal how our garden structure and style bear roots from across the pond. Watch now. 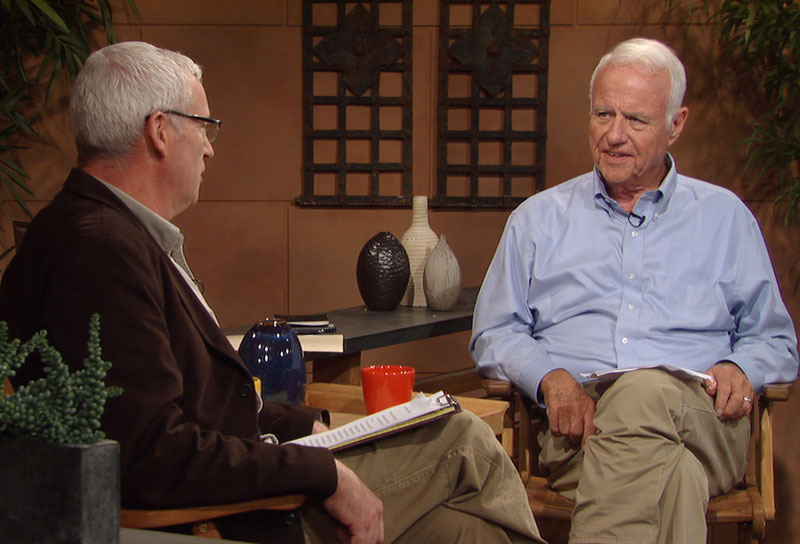 In his book co-authored with Greg Grant, travel the melting pot of cultures that translate to our current notions. In the England chapter, I learned how Lancelot “Capability” Brown created the naturalistic style before cottage gardens came into vogue in the late 1800s. Not only did he influence Jefferson’s Monticello, he designed the grounds of Highclere Castle, home of Downton Abbey! 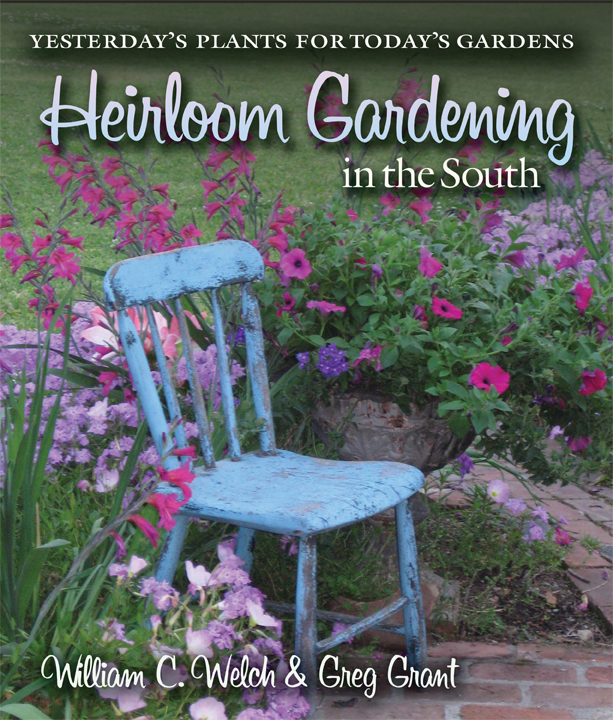 So, one of CTG’s top questions from newcomers is how to grow their beloved Northeastern/Midwestern passions like lilacs and peonies. 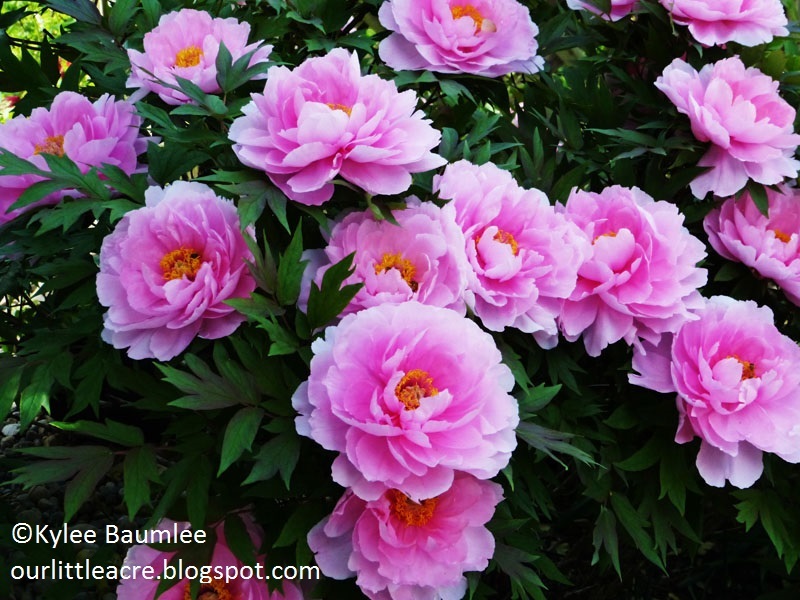 Unlike Kylee Baumlee, who gardens in Ohio and blogs at Our Little Acre, Southwestern gardeners can’t grow peonies like her lovely ones. (By the way, here’s CTG’s interview with the co-author of her gorgeous book, Indoor Plant Décor). 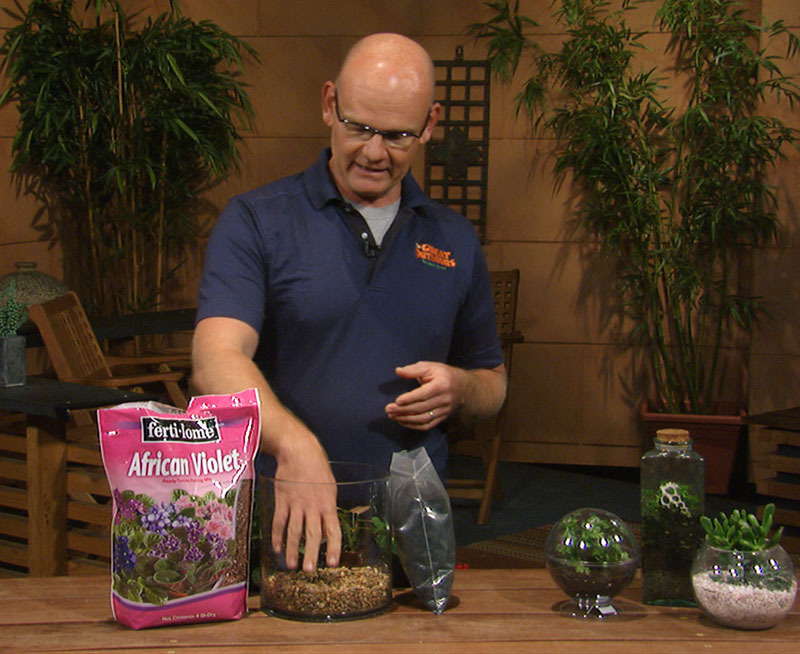 Daphne explains: “The first botanists in the United States brought with them plants from their native European homes. They also brought along plants that were collected and treasured by British and European botanists, who were the world’s leading plant collectors at a time when interest in botany was skyrocketing. And so, the plants that were brought with the Brits became very popular in the nursery trade, and so did plants that were native to Northeastern states.” Find out more. You know, so often that’s still the case! Online and in magazines, we’re bombarded with beauties that can’t withstand our soil/rocks and severe weather extremes. 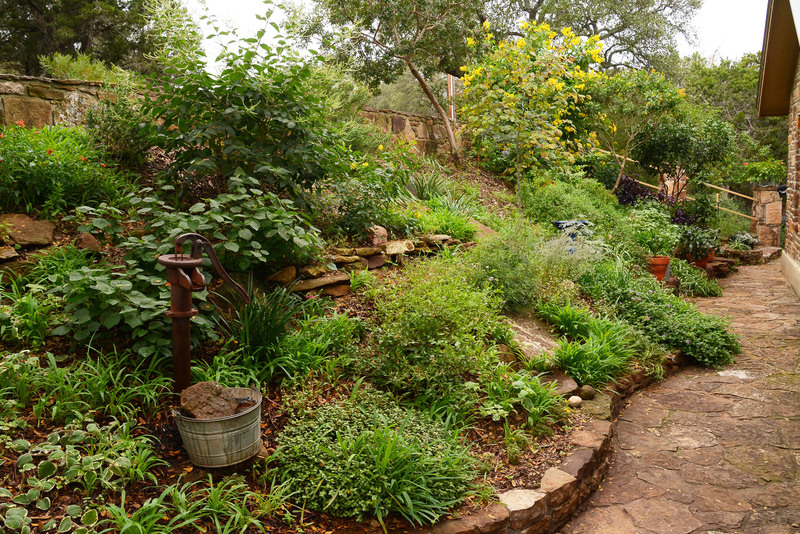 For best success, rely on knowledgeable local nurseries to steer you to native choices or well-adapted ones. Online, select a source familiar with your specific region. 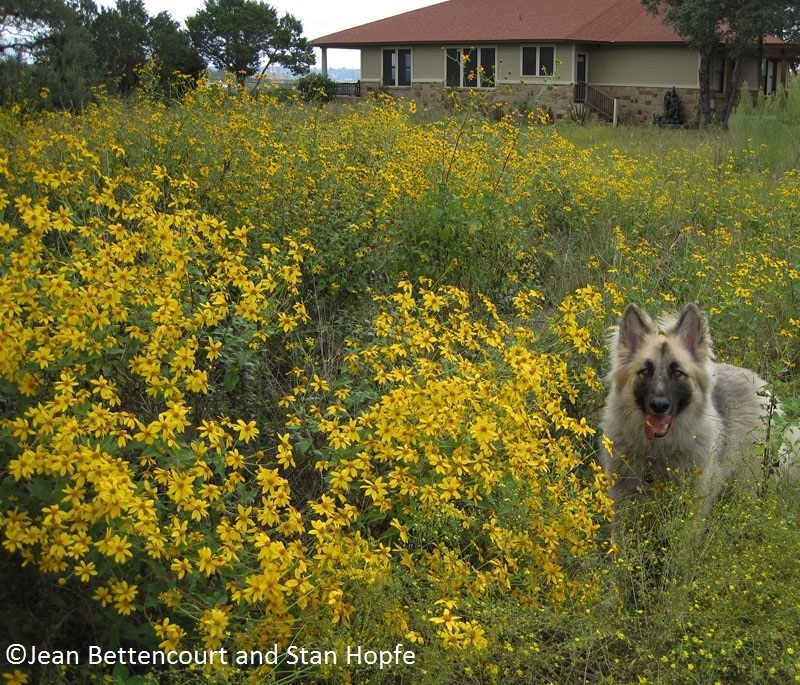 Jean Bettencourt and Stan Hopfe have the right idea with native Copper Canyon daisy, approved by their German Shepherd, Loki! 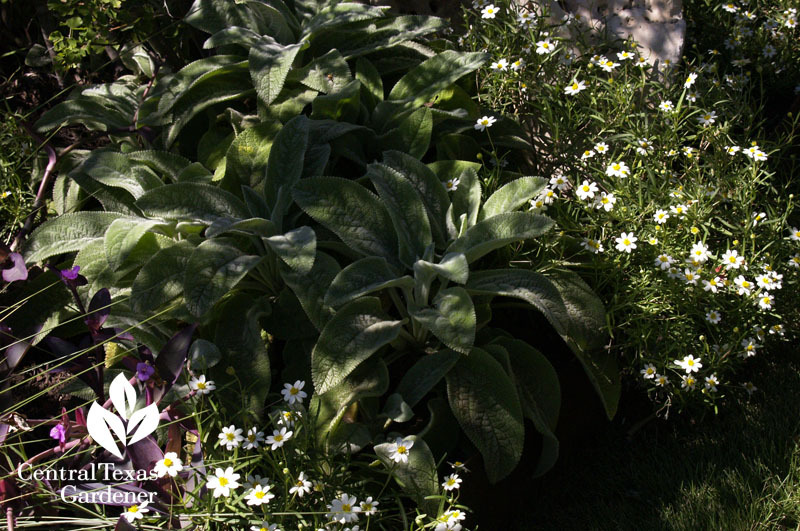 Daphne’s Plant of the Week, lamb’s ears, is native to the Middle East, but adds that “English” look with roots that love our xeric situation. Its tightly woven silvery leaves hunker along the ground to offset flowering clumps like blackfoot daisy or spiky forms. 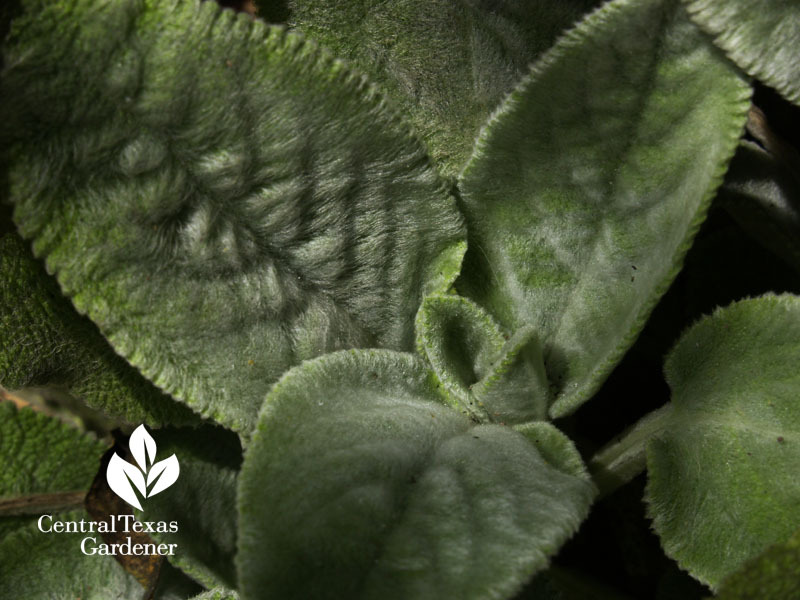 Even though lamb’s ears can take the heat, it can fry in scalding situations or rot in heavy soils, especially in winter or humid summers when rain bombs hit. Find out more. In Victorian England, terrariums were the rage. Invented by Nathaniel Bagshaw Ward, his Wardian cases became instrumental outside the drawing room as a way to transport plants from distant lands. Even if you don’t have a drawing room, they’re back in style as no-fuss classic beauty for the indoor gardener. 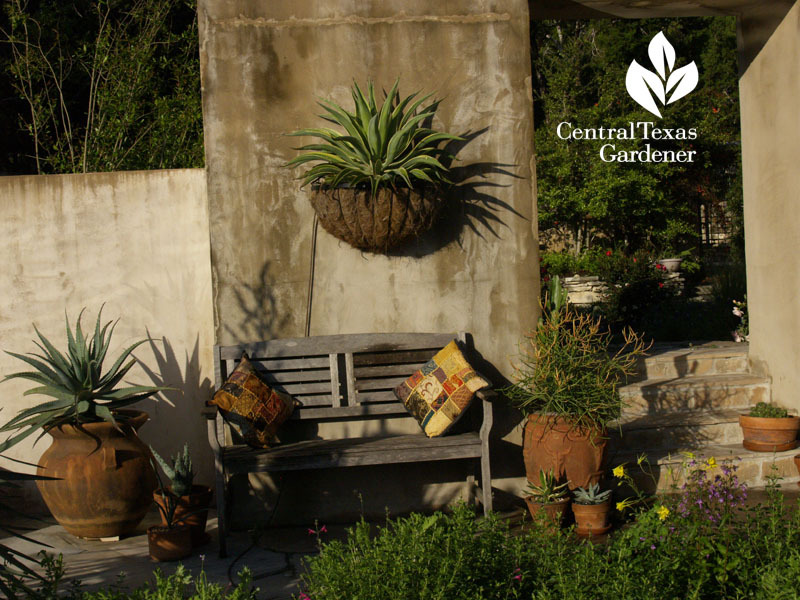 Merrideth Jiles from The Great Outdoors shows how to do it, even with succulents. Watch now. 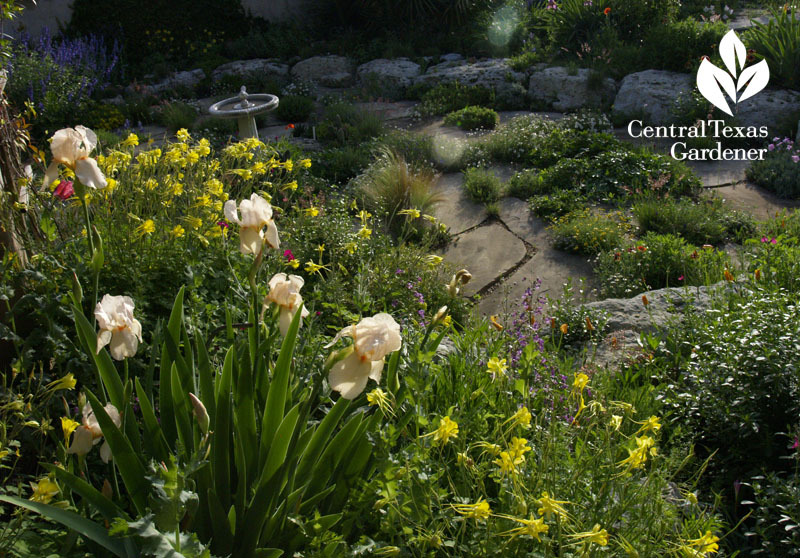 On tour, Jennifer and David Stocker grounded their rocky garden on memories from childhood homes in northern England. One memory is of sunken gardens. 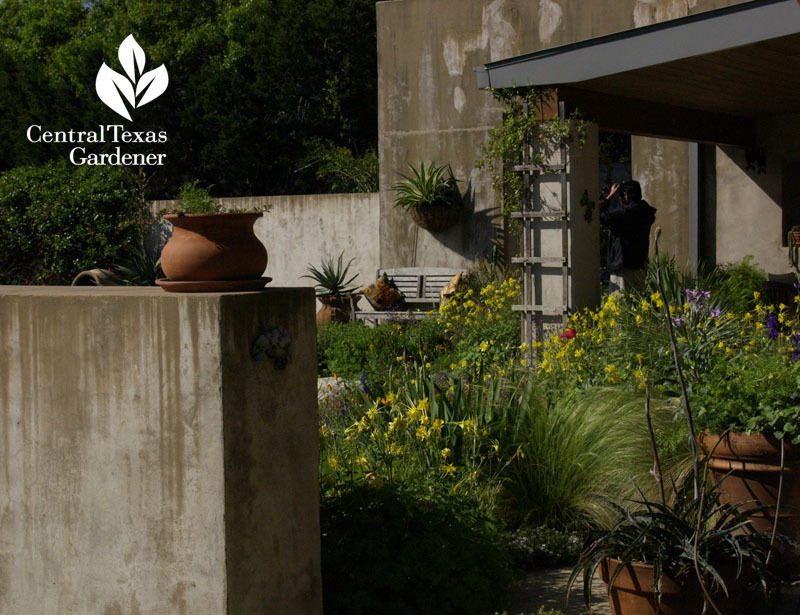 Theirs is quite different than in England, though, where David moved on-site boulders to frame Texas tough plants that rarely see a foggy day. Their walled gardens keep out the deer, though Jenny explains their other role in historic England: to fend off poachers. At home in Austin, walls both define and connect unique expressions. 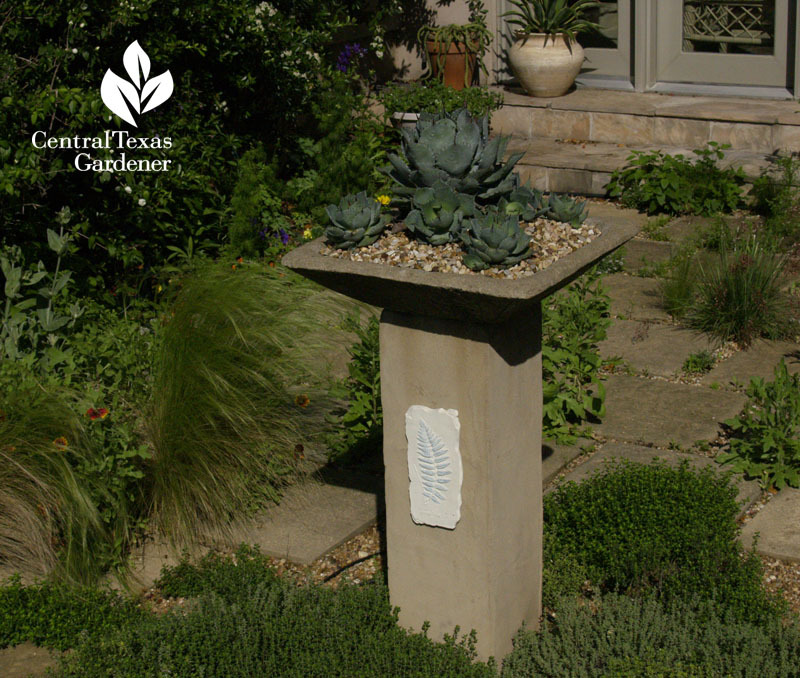 Jenny has a keen eye for details, like the hypertufa basins she makes, to discern the view in a rich tapestry of plants. 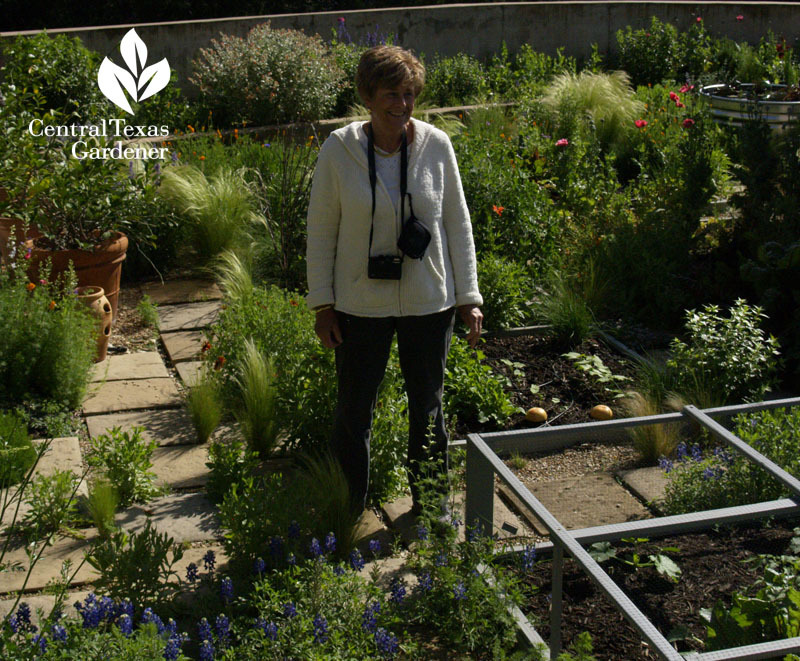 An accomplished cook as well as a designer, one of her first projects was their potager, where David made by hand its distinctive pavers. Check out Jenny’s award-winning blog, Rock Rose, where she beautifully illustrates her pursuits, great finds, and hands-on projects.